Looking for a clean, well-cared for 2011 Toyota Highlander? This is it. This Toyota Highlander Limited defines excellence in an SUV. It has the convenience of limitless boundaries paired with city sophistication. Look no further, you have found exactly what you've been looking for. This vehicle won't last long, take it home today. More information about the 2011 Toyota Highlander: The 2011 Toyota Highlander is still seen as one of the best combinations of an SUV and sedan available in the United States. Offering seating for seven adults, the Highlander is surprisingly versatile. When properly equipped, the upper-end Highlanders can tow up to 5,000 pounds. MSRP starts at $27,390. Estimated mileage is 20 mpg city and 27 mpg highway for the base 4-cylinder trim. The hybrid version starts at just under $35,000 and is capable of 27 mpg in the city. 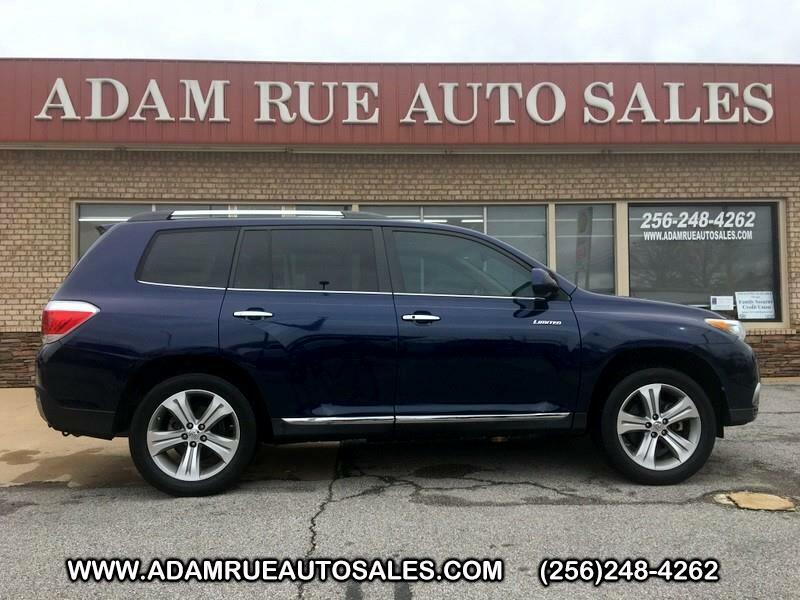 Strengths of this model include seating for seven adults, Roomy and versatile interior, V6 towing capability, confident ride, responsive acceleration, and hybrid availability Thank you for considering Adam Rue Auto Sales! We are proud you are here. Our dealership is focused on making your buying experience as pleasurable as possible. We understand how difficult it can be finding the perfect vehicle. Our staff has been in this business many years and are trained to be professional and courteous while assisting you. After all, you are the reason we are here. We want to be a little different than what you will find down the street. We stock quality vehicles and look forward to treating you like family.